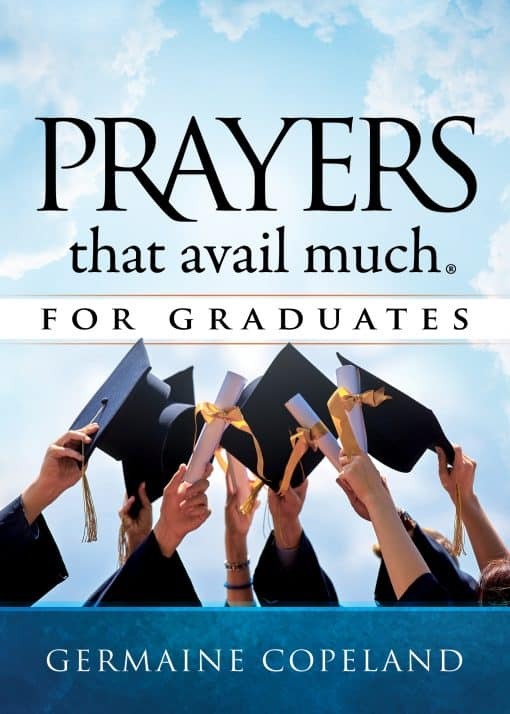 What’s next after graduation? Only the rest of your life. You’re standing at the threshold of your future. 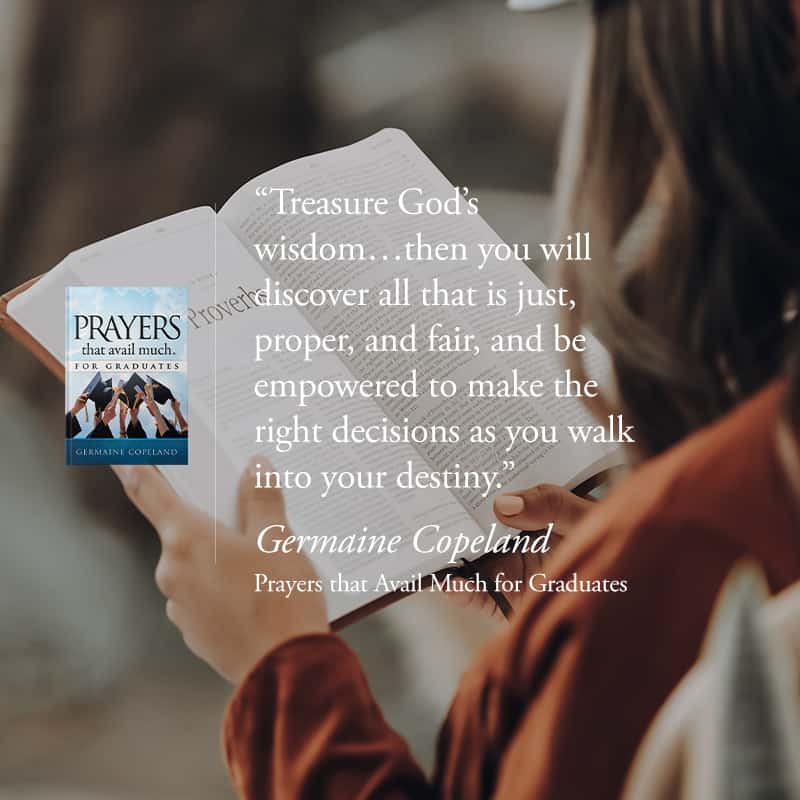 But with God’s help, you’ll have guidance for every decision, wisdom for every situation, and answers for every question! 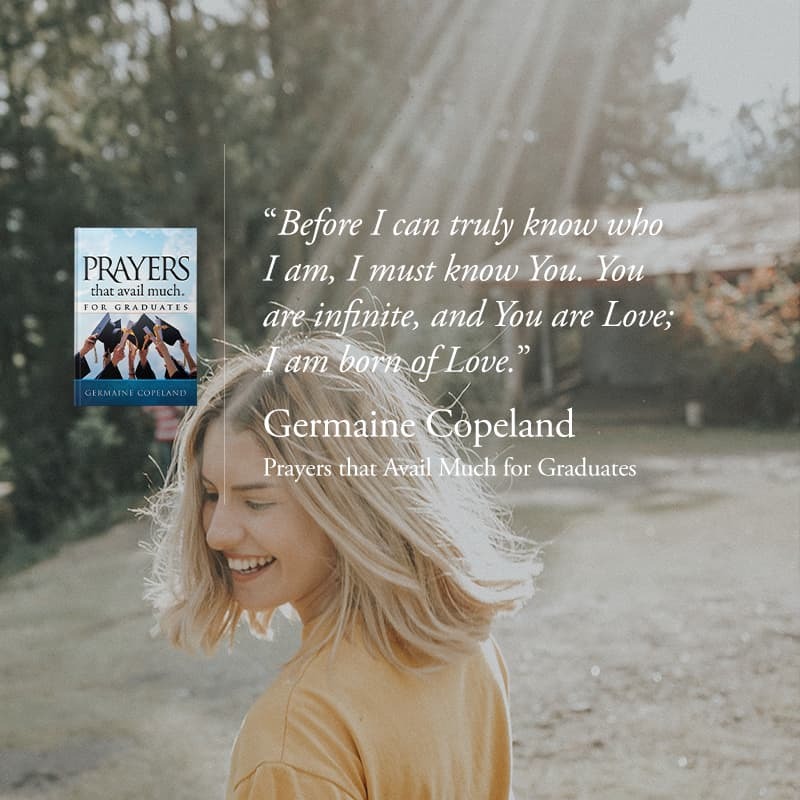 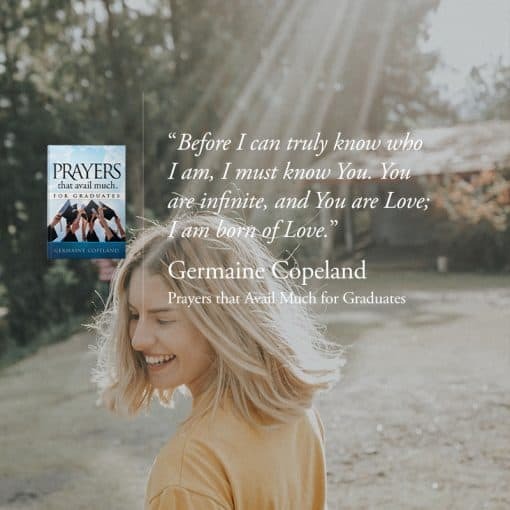 In Prayers That Avail Much® for Graduates, international bestselling author and minister Germaine Copeland has collected prayers from her book series that are just right for this new stage of your life. 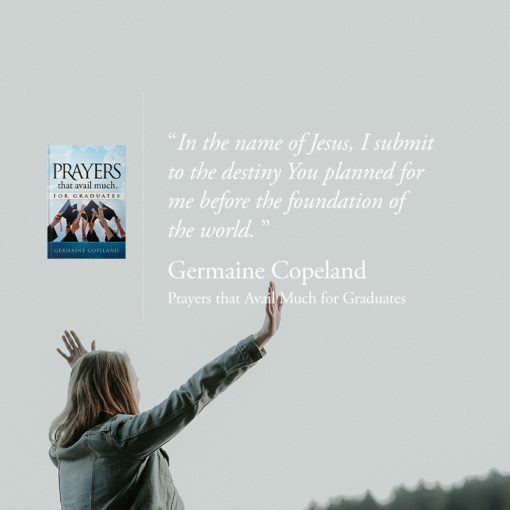 These scriptural short prayers and mini-teachings will help you meet life’s challenges head on and set your course for success in every area of life. Germaine Copeland has been praying and teaching others to pray for more than 42 years. 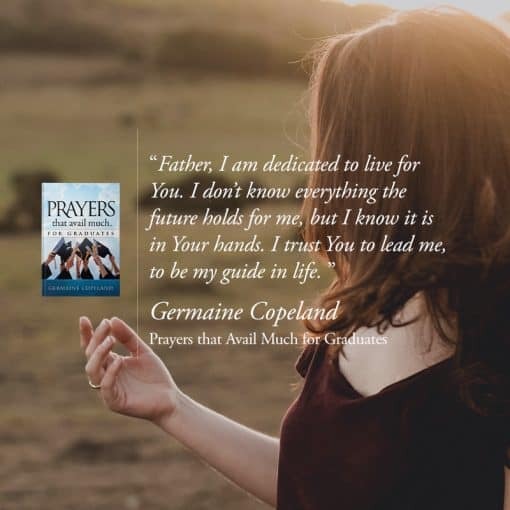 Her bestselling Prayers That Avail Much® series has sold more than five million copies, changing hearts and lives around the world. And now, she helps you pray the power of God’s Word for this new season in your life. 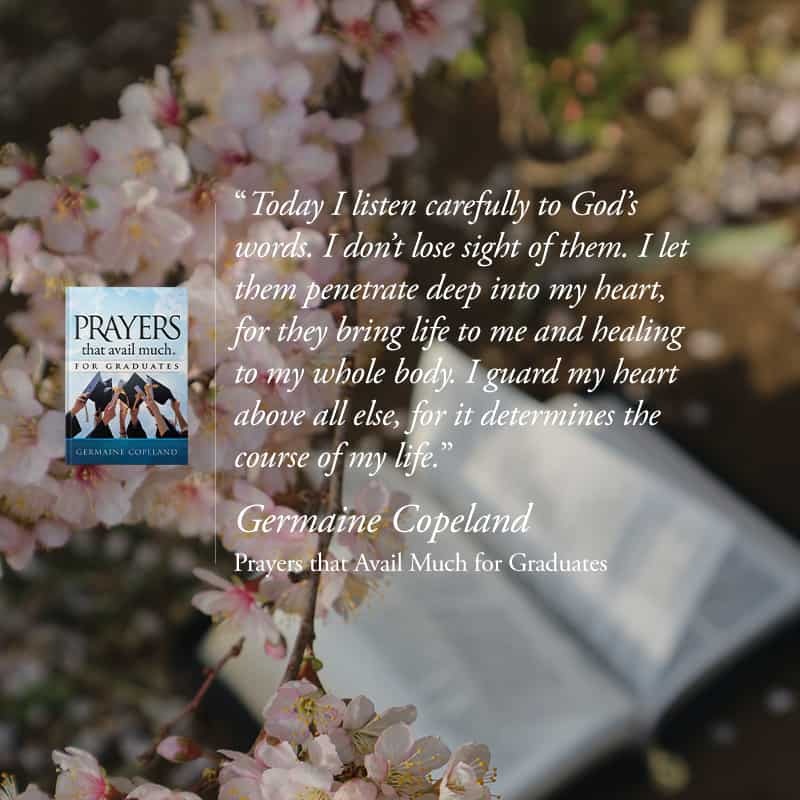 Germaine Copeland had a visitation from God on the day she had planned her suicide. 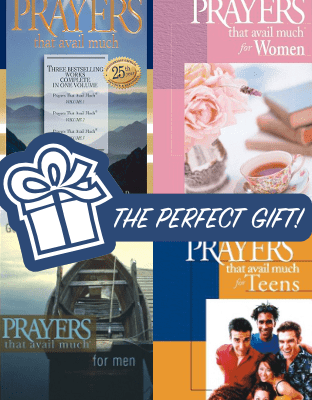 From that time, she talked with God and He talked to her through the pages of the Bible. 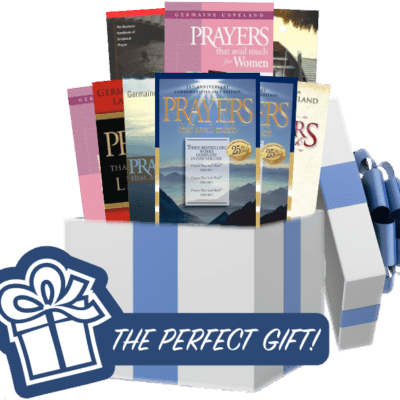 God, the Father, Jesus, and the Holy Spirit were real! 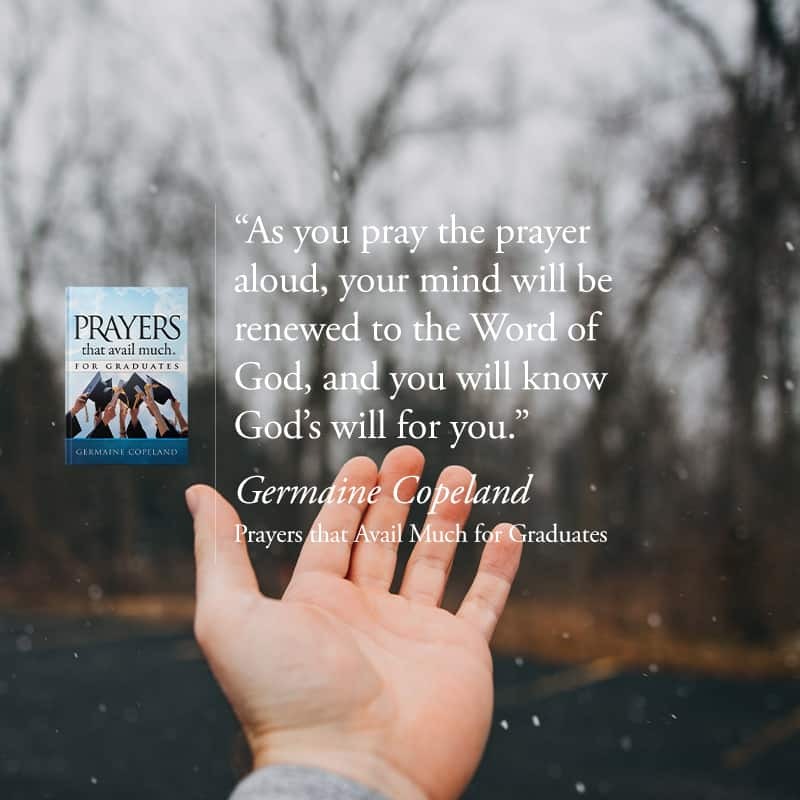 Germaine asked the Holy Spirit to teach her to pray effectively. 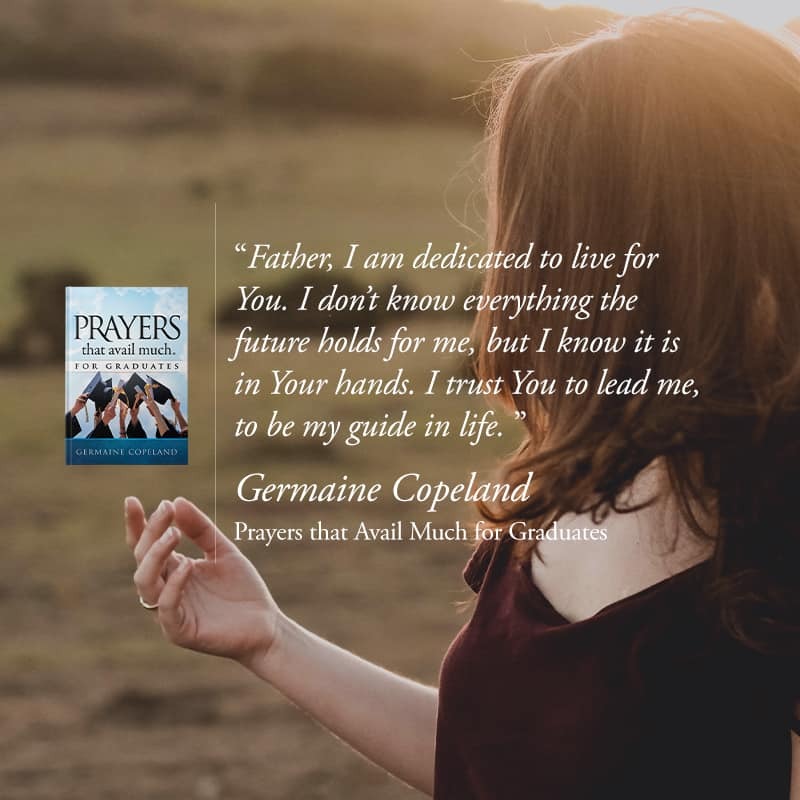 She wrote Scriptures as prayers for her family and her son’s deliverance from a lifestyle of addictions. 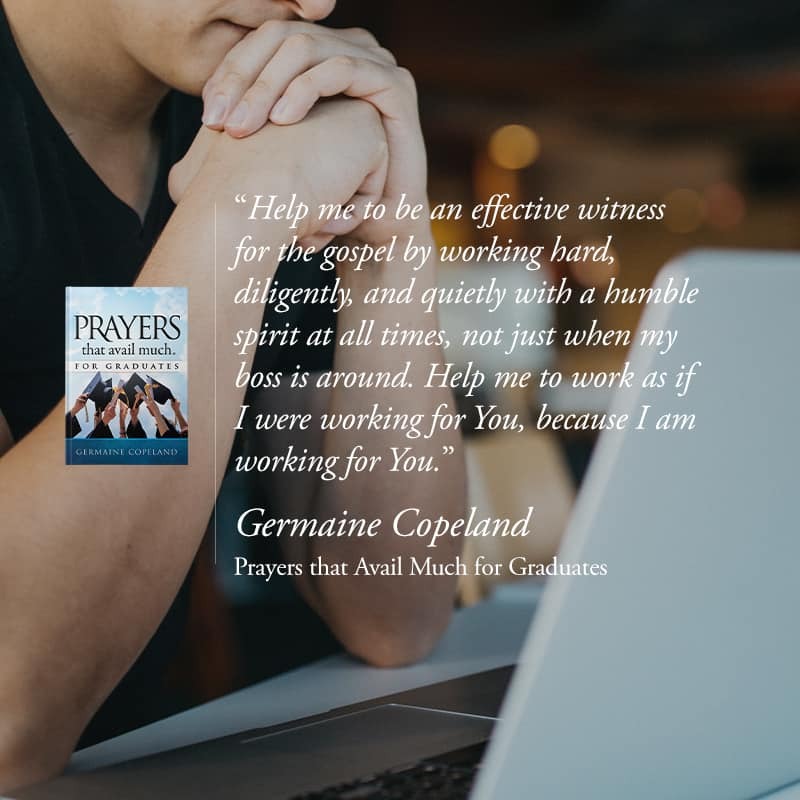 Over that twenty-eight-year period, God taught her and she taught others the dynamics and discipline of prayer. 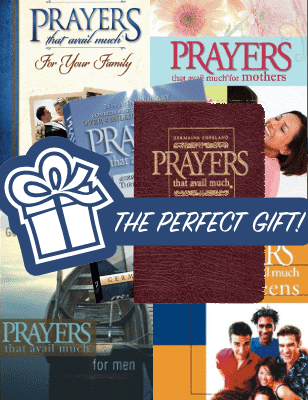 Her books series, Prayers That Avail Much,® has changed the lives of people around the world. 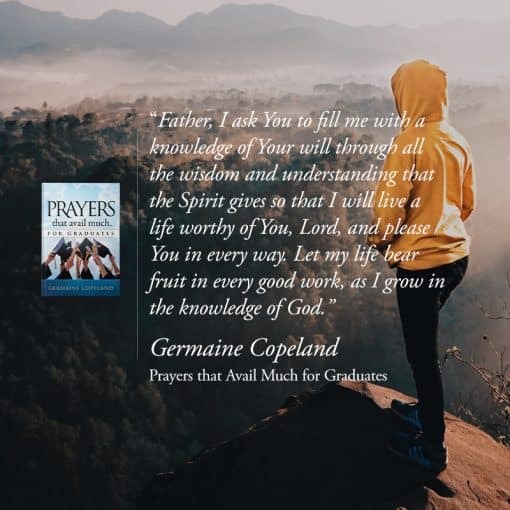 She is the Founder of Prayers That Avail Much (formerly known as Word Ministries, Inc.) and her son, David Copeland, is Vice-President of the ministry. 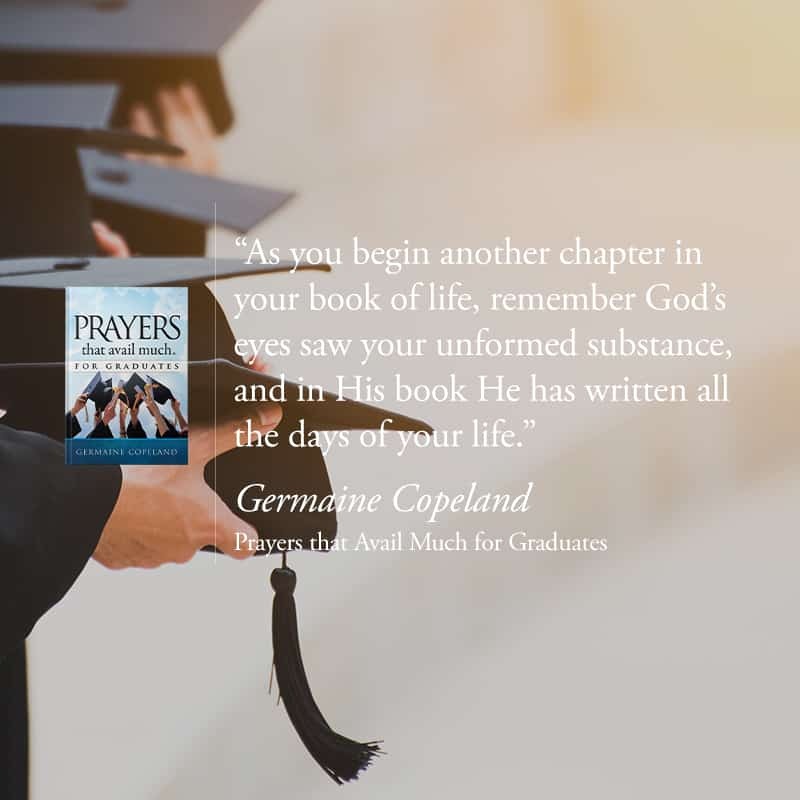 She and her husband, E. D. Copeland, reside in Greensboro, Georgia. Together, they pray for their four children, grandchildren, great-grandchildren, and future generations.